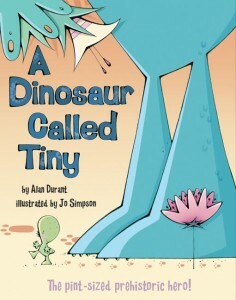 A Dinosaur Called Tiny by Alan Durant would make a decent read aloud. Tiny is born and gets older, but he never gets any bigger. 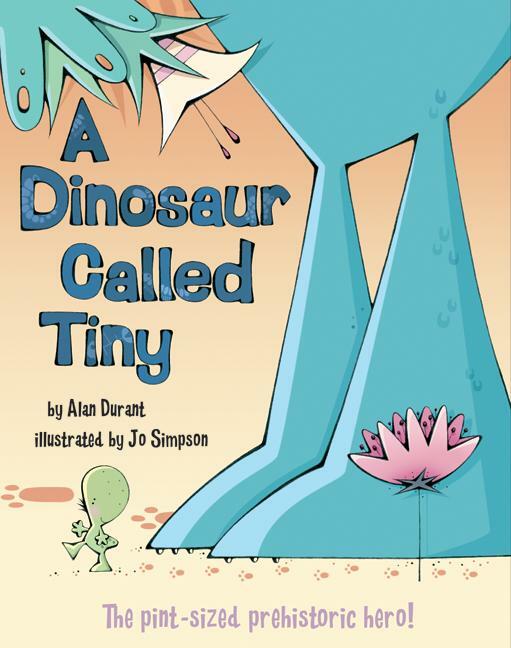 The other dinosaurs tease him about his size, and he feels different and lonely. Then a little bird befriends him and they have great, tiny adventures together. Then one day Tyro the T-Rex is trapped when the ground cracks, and Tiny is the only one who can safely reach him. The plot isn’t anything new, and the story feels a little rushed getting to The Point. But Jo Simpson’s illustrations are lively, and I still think younger kids would enjoy this as a simple story time book. There is a lesson to be learned about being accepted and useful no matter how different you are, and kids will pick up on that.